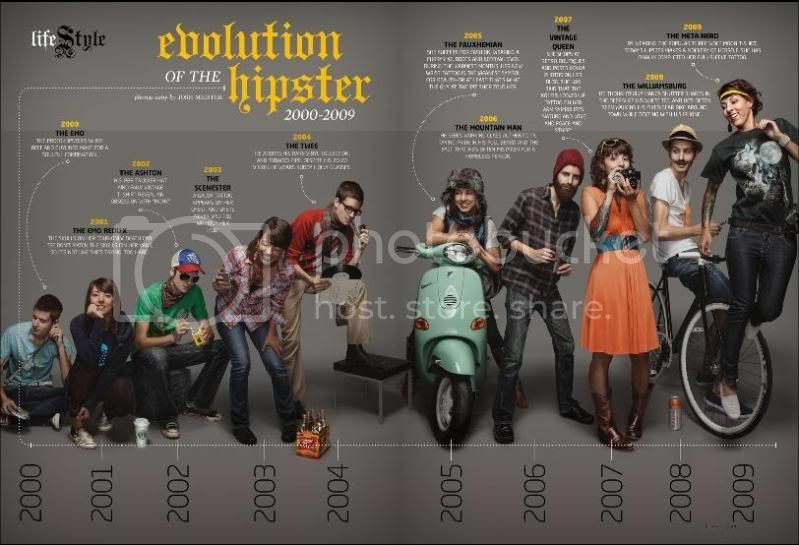 I ran into this thanks to a girl i'm following on twitter, this "Evolution of the hipster" as they call it, was a great humorous article posted by Paste Magazine on their November issue last year. I wish i had a pic with better resolution, but it you want to see the evolution thru the years in detail, you can click here. Also, if you want to take a look to the magazine (which is very very good) you can click on the title of this post to get there. Si quieren revisar la revista, que está muy muy buena, pueden meterse haciendo click en el título de este post.